Google's Modular Phone System "Project Ara" will be the Future of Smartphones. Around 3 years back, Motorola had announced about its plans for releasing modular smart phones codenamed as "Project Ara". Motorola was part of Google when making this announcement. After seeing this announcement I uploaded a youtube video to give news about it, and I was surprised to know about the huge expectation for the modular phones from various people. I came to know that the modular phone concept video released by phonebloks got millions of views. And, I have gone through lot of discussions and comments about modular phones, particularly about Project Ara. All the discussions are really interesting and I got more interest with the project ara and I was eagerly following up the news about project Ara. I came to know that the modular phone system can give lot of benefits to the users. Modular phone systems like "Project ara" can help to improve the environmental conditions by reducing the electronic wastes. Because people will be using their mobile phones for long period of time as there is no need for replacing the entire phone when some part of the phone was malfunctioning, or you need to have any new feature to your phone. In the 2014 Google I/O, Google's ATAP Team showed a demo of Project ara prototype. The Ara phone didn't boot properly during this demo. Anyway this demo gave lot of hope about the project ara. After viewing this demo lot of people showed interest in discussing about modular phones. This interest was increased further once after Google successfully showed the spiral 2 prototype demo and the updates at Google I/O 2015. 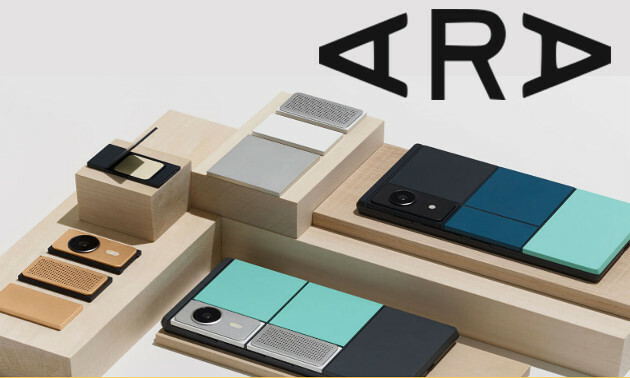 And, another interesting thing about Project Ara is, we can create our own smartphone by choosing the modules according to our own specifications using Google's Ara configurator App. Google says the device is designed to be utilized by "6 billion people"; including 1 billion current smartphone users, 5 billion feature phone users, and 1 billion future users not currently connected. Modules can provide common smartphone features, such as cameras and speakers, but can also provide more specialized features, such as medical devices, receipt printers, laser pointers, pico projectors, night vision sensors, or game controller buttons. Project Ara is open hardware platform. Google has partnered with Rockchip for getting cheap SoCs for project ara phones. Google is working with Linaro to provide special edition of Android which will recognize when modules are added or removed on the fly. Recently Google gave more updates about Project Ara at Google I/O 2016. Yesterday Google had released a new Social App named Spaces for doing Group-sharing easily from Android , iOS and Web. I thought this new feature will be very useful for sharing Science and Technology news and for doing discussion about the latest innovations. You can read Latest Tech News there and you can share you comments about it by joining into this Space. I hope it will be very useful for having useful discussion about latest innovations. If you like this Space, invite your friends to join this space. If you are not familiar with Spaces, watch the below video to know about Google's Spaces. I am spending lot of time and effort to find latest technology news from various sources. So, I hope joining this space can help you to save lot of time in finding latest technology News.